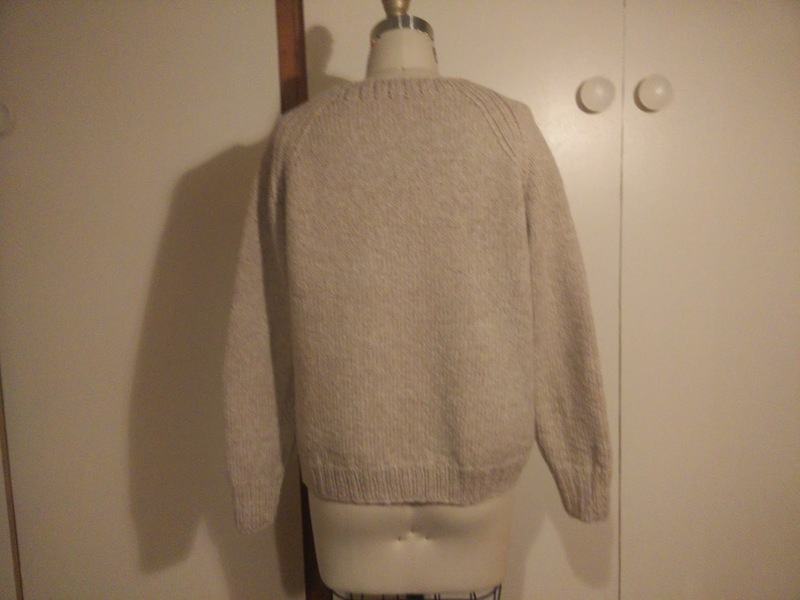 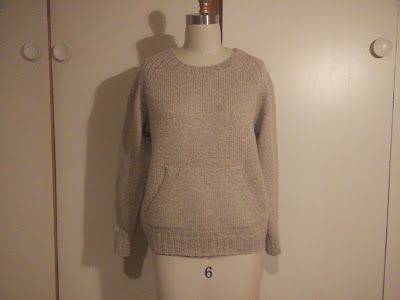 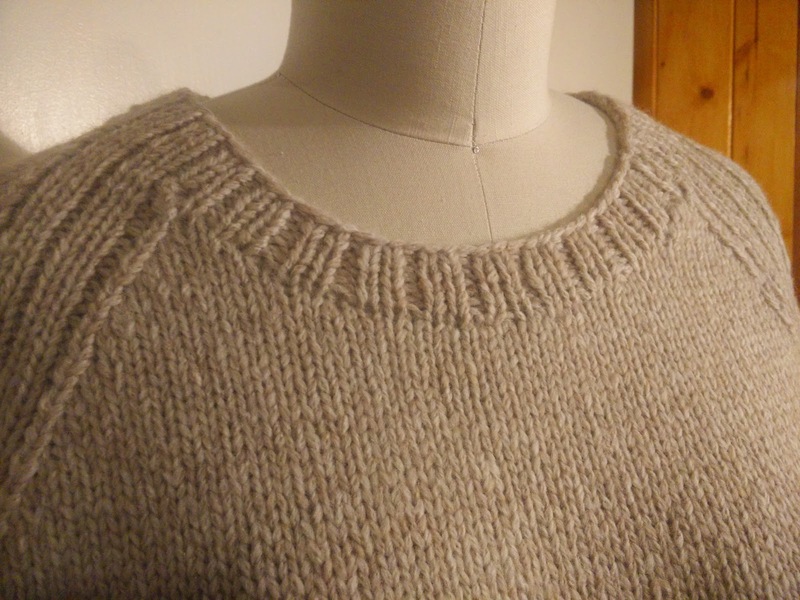 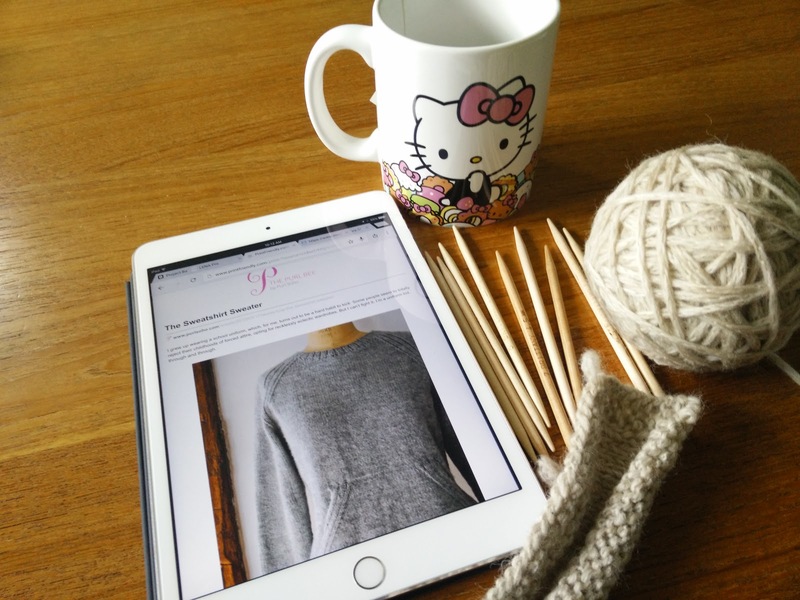 I love sweatshirts, so I knew I had to knit The Sweatshirt Sweater from Purl Soho. I still have a ton of gifted yarn in my stash and used this speckled tan worsted wool for this project. 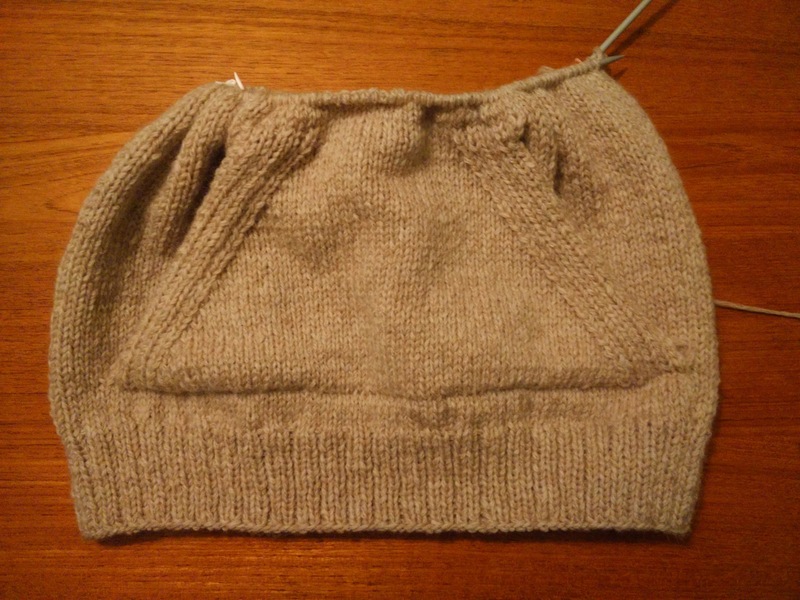 I made no modifications to the pattern, but had to make a size adjustment since my stitch gauge was off by a tiny bit. 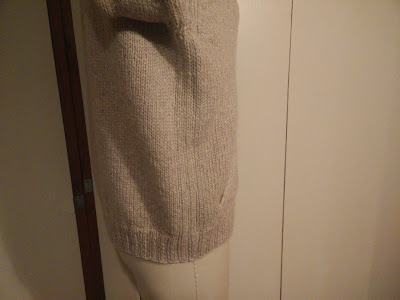 I followed directions for a size XS to compensate for that. The pattern directions are very clear and easy-to-follow. 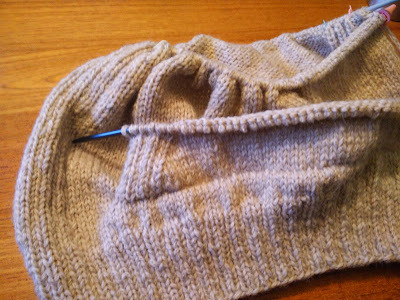 The knitting goes by fast (maybe because you're knitting in the round?) 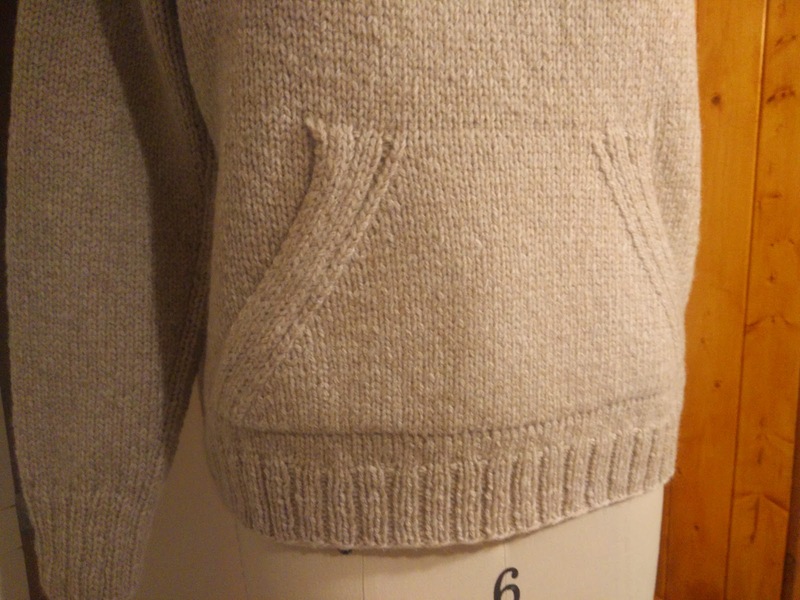 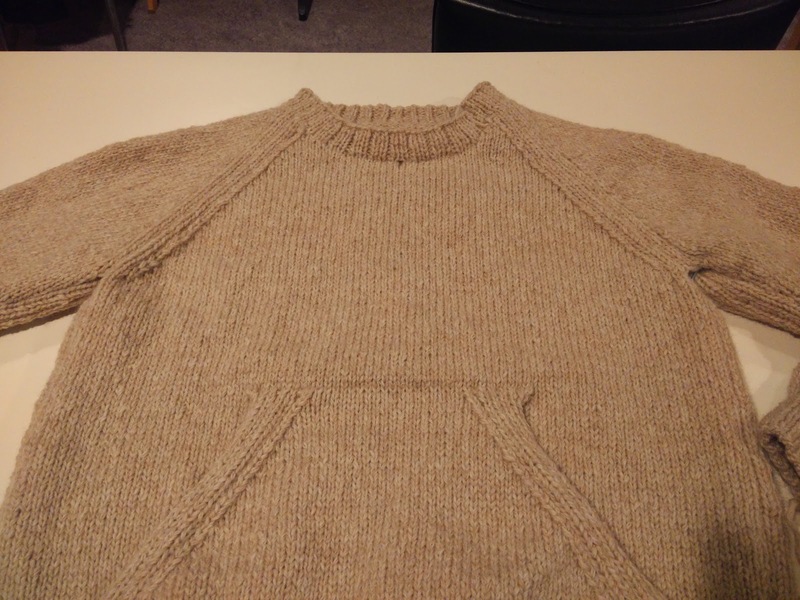 and has enough variation with the raglan shaping and front pocket that it isn't boring. 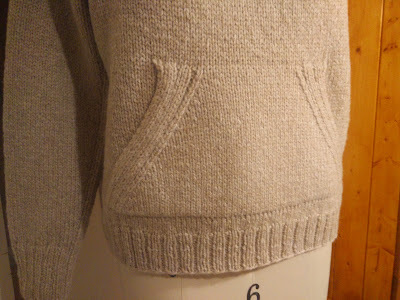 I love the ribbing detail that is worked in the arm shaping decreases and continues down the sides of the sweater. 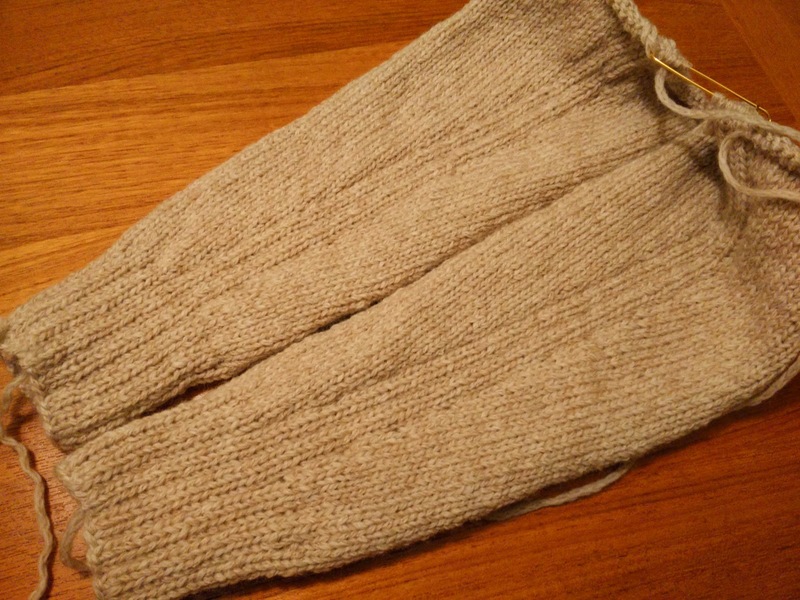 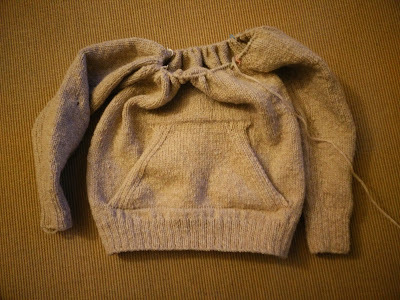 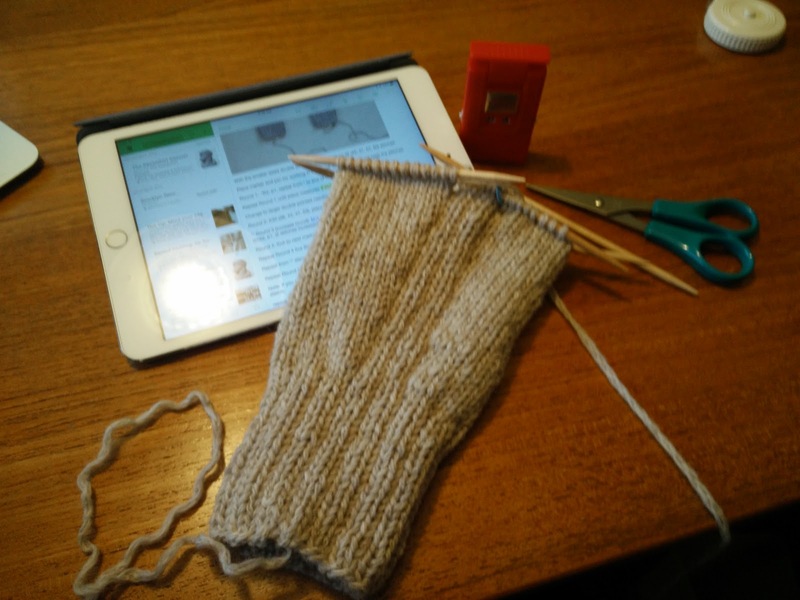 The most difficult part of the project was the grafting of knit and purl stitches for the armhole. This tutorial on grafting in pattern by Lucy Hague was extremely helpful!